Benefits of TCC Online 360 Degree Feedback impact leadership, teams, and the entire organization immediately. Are you planning to carry out a 360° Feedback project? Use the TCC Online portal as a convenient and easy to use platform for 360° feedback administration. You will receive high quality results, descriptive, and easy to interpret. This powerful online tool offers the opportunity for an individual to receive feedback from any number of evaluators in an easy to use online portal. Designed to give individuals better insight into their strengths and weaknesses, 360° Feedback handles large amounts of data from superiors, colleagues and/or subordinates and processes this feedback into an in-depth and detailed Output Report. set automatic project termination or an automatic reminder. Self-service 360° Feedback saves you time. Evaluees can nominate their evaluators by themselves. You just set a minimum amount of evaluators in groups or can change the evaluators selected. When the evaluation is terminated, evaluees can view their output reports and receive clear feedback. I felt the cooperation was very fruitful. Your services were professional; you were responsive, flexible, and communicative. The survey went very well and the reports, even with the complication of translations, were excellent. The site was easy to navigate and you made the whole process as easy as possible. We cooperated with TCC online on an Employee Satisfaction Survey in companies GridServices, s.r.o. and GasNet, s.r.o. We were very much satisfied. TCC online has a highly professional approach, keeps its promises and deadlines, and promptly responds to any questions and requirements for change, always striving to meet our needs. We also had similar experience with TCC online in other projects, for example at implementation of 360° Feedback. We appreciate TCC online and recommend it for cooperation. 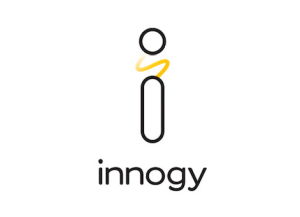 Ivo ProcházkaHR Business Partner / innogy Česká republika a.s.
We currently use Employee Survey, 360° Feedback and Online Psychodiagnostics by TCC online. Through our cooperation we appreciate their efficiency, flexibility and precision. The quality of their work and reports is perfect. We strongly recommend them. Kateřina ŠkubalováHR Specialist / Raiffeisenbank a.s.
We are an international company with circa 900 employees working in ten countries around the world. It has become a standard for our teams to consist of people of various nationalities working in various countries. This is why we are always looking for a solution we can offer to all of them regardless of their location. The case of 360° Feedback, which we have carried out for four consecutive years now, was no different. We chose TCC online for a 360° Feedback project in 2014. We were looking for a tool that would be sufficiently flexible, simple, and open to our adjustments. At the same time, we were looking for a supplier offering modern solutions capable of working in required world languages and through web interface. Another criterion was the price of the service. We chose TCC online. In 2014 we used this product to carry out the first part of a 360° Feedback for 40 managers. More then 400 employees took part in this project, offering their observations and feedback. We were satisfied with the environment as well as the communication with the provider. 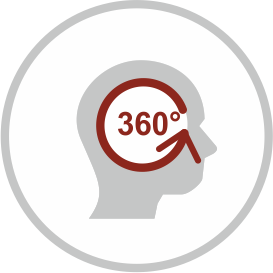 We are currently preparing another phase of the "360°", this time for another 80 managers. We are satisfied with the product as well as its ability to react to any necessary adjustments. Communication is fast and the provider reacts even over and beyond the standard working hours. Ales Demjan HR Manager / Moravia IT a.s.
We worked with TCC online in a project of online 360° Feedback. Introducing this method of evaluation has been essential for us. Thanks to the professional and meticulous approach of TCC online both the course and the results were exactly as we had imagined. The company's representative was our partner in creating the questionnaire, always warning us about possible pitfalls as well as advantages of some statements and at the same time giving us enough space for our requests and ideas. 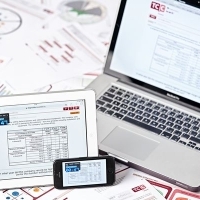 The output reports were processed very fast and in good quality, including visualisation through charts. Evaluators as well as evaluees welcomed the guarantee of anonymity, lucidity and user-friendliness of the system, and a complex care throughout the evaluation process. We were also more than satisfied from the administrator point of view. The entire team manifested their high professionalism in the flexibility with which they reacted to technical questions and observations. We now know that carrying out this evaluation with TCC online was extraordinary for us as far as time and, above all, quality is concerned. Thanks to this positive experience, we know we now have an excellent long-term partner for evaluation projects. Their product range is both diverse and compact. We will be happy to employ this team of professionals again in the future. We have made a first run of 360° Feedback in our company in 2013, but our supplier at that time failed to convince us about the quality of provided services. Based on this, we have begun a tender for a new provider of 360° Feedback for managers of our company, not only for managers in the Czech Republic, but also for CEOs in 6 countries of Central Europe. TCC online decisively won that tender, based on the fact that it was able to deal best with a “case study” we presented – case study included a problem about not keeping anonymity of evaluators. TCC online won the tender based on their favorable price offer, but also thanks to great attitude and approach of its Managing Director Barbora Daňková and HR Project Manager Andrea Forejtová. We managed to design together areas and statements that we wanted to evaluate, set the evaluation scale and, most importantly thanks to intensive cooperation, managed to accomplish successful results – providing personal feedback to evaluated managers by experienced lecturers, including written reports, but also obtain a general evaluation of the whole 360° Feedback project for our company and identification of the most troubling areas. All this of course also for the Central Europe CEOs. Thanks to a great experience with TCC online, we know that we will realize 360° feedbacks in this year as well. Tereza SoučkováHR Generalist / BNP Paribas Cardif Pojistovna, a.s.
It’s also possible to create team reports, there are 2 types of them.